Shark APEX Powered Lift-Away – It’s Compact But Is It Capable? The Shark APEX Speed is a lighter and more compact vacuum than the full sized uprights in their lineup. 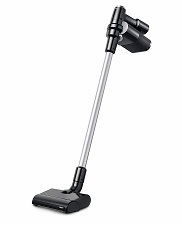 It’s designed to provide the cleaning ability of the larger models combined with easier maneuverability, making it ideal for smaller homes or tight spaces. Even though it is on the lighter side it sill comes with some of the features that have made Shark the most innovative brand today like DuoClean, Lift-Away, and Active Glide (more on those in a bit). While it is on the pricier side of their lineup there are many reasons for that. 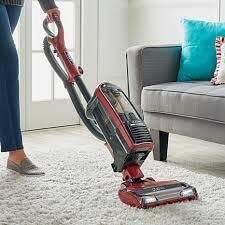 Let’s take a look at what this vacuum has to offer to see if it is indeed one of the best compact vacuums you can find today. 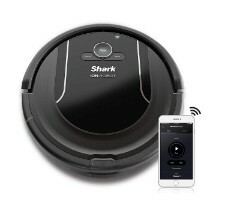 Before we start it’s important to mention if you aren’t familiar with Shark that while they haven’t been around as long as other brands they have quickly become one of the main players in the residential vacuum cleaner industry. They started in the late 1990’s under the SharkNinja brand with a focus on cutting edge technology. You will see some unique features in their vacuums that aren’t found on others but they have built a good reputation for quality as well. You can read more about their story by clicking here. [Read more…] about Shark APEX Powered Lift-Away – It’s Compact But Is It Capable? Anybody who has been following the vacuum cleaner industry over the last few years has noticed a trend towards lighter, more versatile vacuums that don’t sacrifice cleaning ability. This is a tall task for the major brands but most of them have met it with flying colors. Dyson, Shark, and others have multiple cordless models to choose from with long lasting lithium ion batteries but Oreck had been missing from the conversation. That is noticeable since the company has been one of the pioneers in both residential and professional cleaning products for so long. The Oreck POD is a ground-breaking cordless vacuum with a lot of technology packed into a small body. It is designed for a variety of hard floor types including tile, hardwood, and laminate as well as some types of carpets. While it won’t deep clean thicker carpeting since it doesn’t have the weight to get the brushroll down into the fibers, it does a great job on throw rugs and lower pile material. This is what the majority of cordless vacuums are built for today, but how does the Oreck POD compare to them? Shark ION P50 Lift-Away – A Game Changer? The Shark ION P50 is not your typical upright vacuum by any stretch of the imagination. Sure it has enough power for deep cleaning carpets as well as several tools for other surfaces, but there is much more. If you know anything about the Shark company it’s that they are known for pushing the limits of technology to the benefit of their customers. Let’s take a look at what this vacuum cleaner has to offer with some recommendations for who this model makes sense for. [Read more…] about Shark ION P50 Lift-Away – A Game Changer?